Thanks to costume designer Janice Rider for making this TX card available. 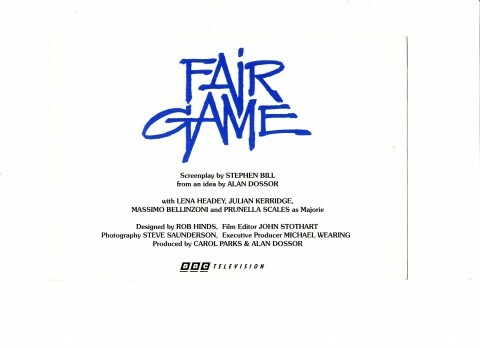 ‘Fair Game’ was a 1994 BBC 1 screenplay written by Stephen Bill, directed and co-produced by Alan Dosser along with Carol Parks. Michael Wearing was the executive producer. 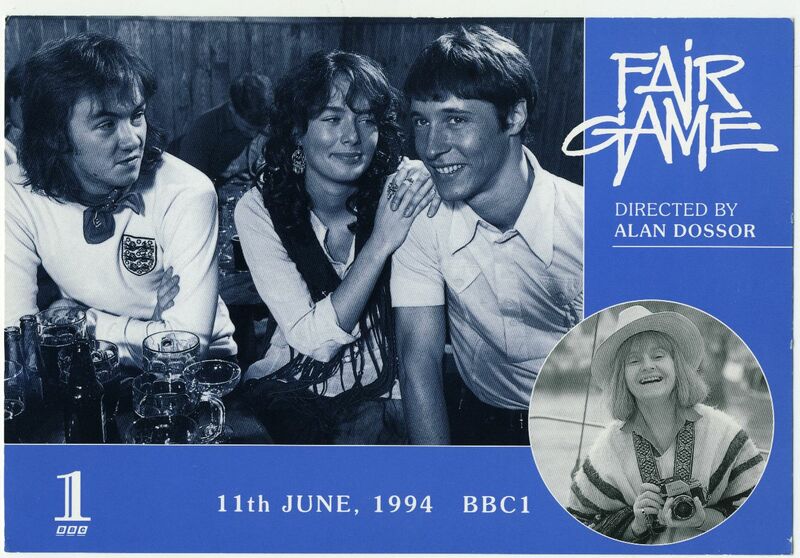 Rob Hinds was the designer, the film editor was John Stothart, and Steve Saunderson the camera man. 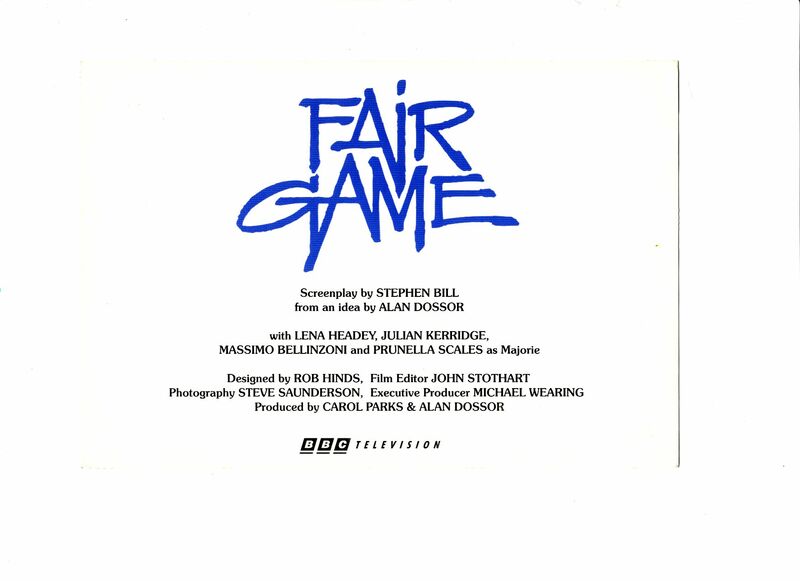 The drama starred: Lena Headey as Ellie, Julian Kerridge as Carl, Massimo Bellinzoni as Marco, Prunella Scales as Marjorie.